Our expertise lies in distributing, manufacturing, and supplying an extensive array of MCN Geared Motors. The provided motors are used in various industrial sectors for pumping, processing and controlling various applications. These motors also have domestic and commercial usage. These motors are manufactured by our skilled professionals using quality-tested steel and components and advanced manufacturing techniques. 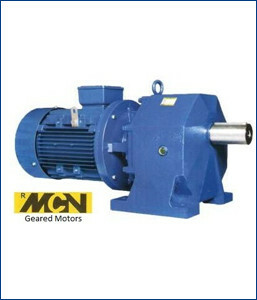 The offered motors are available in various specifications with us.